Welcome friends! 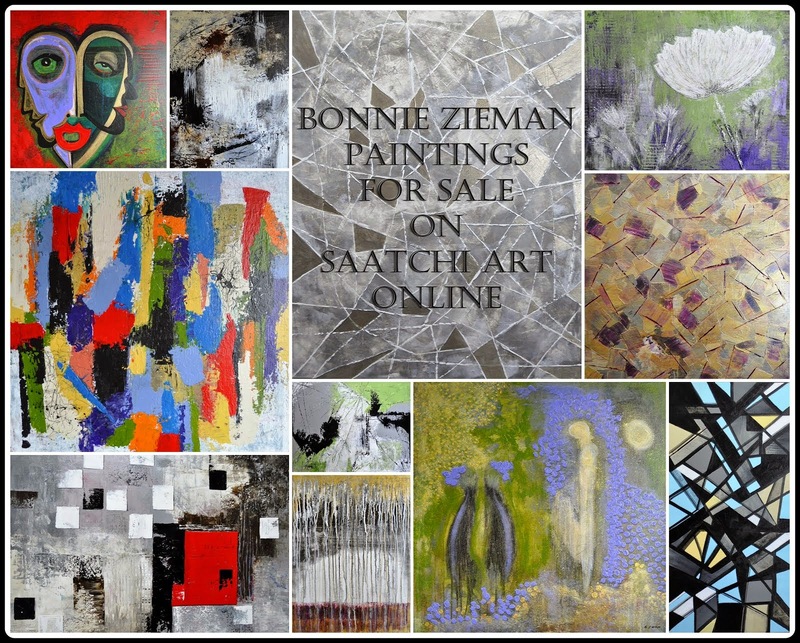 Time to regale each other with our latest photo-art images. This week we have the challenge of sharing an image that we have edited to look like a vintage piece of art. Of course, if you prefer, you are welcome to post any piece of photo art you choose. We like to keep it open and easy here. If you are new to Photo Art Friday you can read the guidelines for participation by clicking on the Photo Art Friday tab under my header. This photograph looks in the other direction with a white clematis in the distance and the brook barely visible down to the left. The photo was partially desaturated and slightly blurred. It was also treated with the Photo Filter in PSE - warming filter (85). 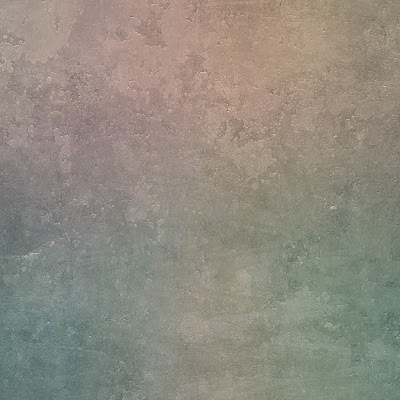 Vintage Craquelure was applied and blended in Hard Light at 80%. A layer mask was used to remove a bit of the texture from the water, clematis, tree trunks and stone walls. you can showcase a photograph you have edited to look like a painting. Last April I released a free texture called Painterly. If you missed it I have set up a link for you to download it here. It could be one of the elements you use to give your photograph a painterly feel. 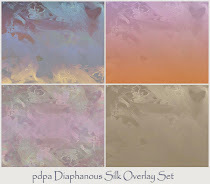 Other painterly textures are available in my Texture Sets Shoppe. They have received great feedback from those already using them. Why not take a look and see what you think? 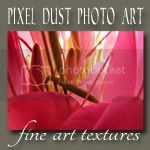 To download pdpa Painterly texture, click HERE. Bonnie this new texture is a treat and it only works well with certain colours, although I did not try to desaturate before applying the texture. Will post later when the link is up. You have a beautiful garden Bonnie, stunning photos. Have a great weekend. Jen. the second picture and the way you edited it is just breath-taking! I love the editing in your first and the actual photo in the second. (But I actually love everyting about them both.) Thanks for your great inspiration Bonnie! Just LOVE your photo, especially the first one. stunning!!! Bonnie the clematis is outstanding and your photo of the tress is absolutely fabulous! Thank you for sharing your work flow! I love both images, Bonnie, so dreamy! 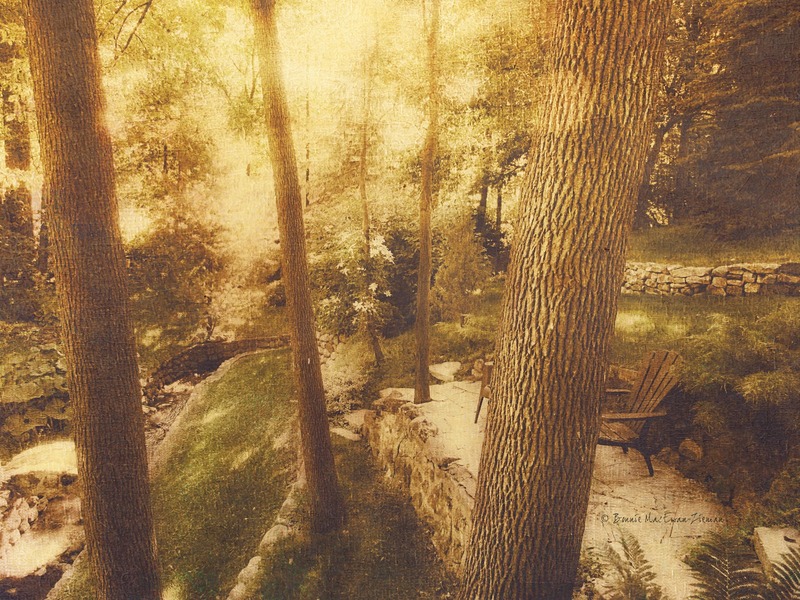 Bonnie I love these artistic photos that you have done of your land, and can imagine you sitting on the bench overlooking the creek. This looks so beautifully landscaped and can imagine how much you enjoy nature in your home setting. The second image really appeals to me and the first one is sooo dreamy. Wonderful photos, I like that pretty dreamy light in the two photos. What the lovely harmony colors the bouth. And what the peaceful feelings. Fantastic piece of art, Bonnie. I like your first photo very much. I want to use texture in a future. Thank you very much for sharing my photo in your meme. I love the clematis shot! Bonnie, I love what you've done with your vintage effects - beautiful! I especially love the clematis...the tones are so lovely. Thank you SO much for the very kind words you left me on my blog regarding my images/poetry...it means so much! I did 2 with your painterly background! Beautiful photos, of a beautiful place. Looks like a nice, relaxing place to sit and enjoy. I love the subtleties in your colors ... they allow the flowers to speak softly of thier beauty. I truly do enjoy what you do. Yikes I thought I'd left a comment already but after checking I realized I forgot. I wanted to let you know both of your pieces were just beautiful. I love the elegant, dainty feel of the floral piece and the serinity of your second piece. They are both wonderful. I would like to sit and enjoy the peace of the forest. I need a relaxing holiday. Greetings. These blogs are filled with tons of inspiration! 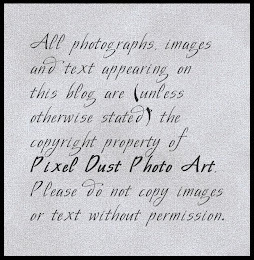 The vintage redo on your photos is fantastic!! 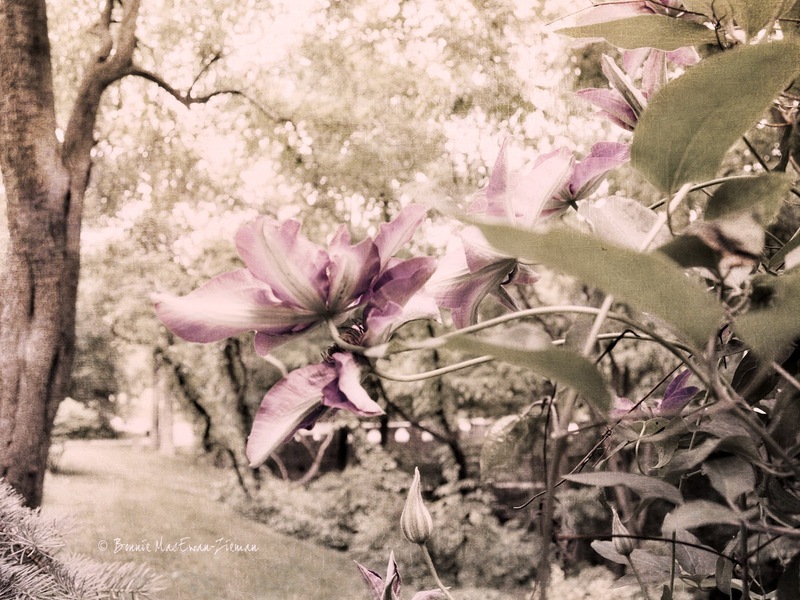 The clematis is especially lovely with just a hint of color; and the wooded scene is perfect and inviting. Wonderful work! Bonnie- you have waved your wand and made that clematis appear from another world. I am so fond of your blog and all the great people here. I just want to let you know that I will be away from my computer for a week or more. But I will be back. Thank you so very much for such a friendly place. See you in July! Both of your images lead me into enchanted lands. The first one fairly sparkles with magic. The clematis looks like it is a sentient being who may or may not hinder my passage, or blow in my ear as pass by. The second is dusted with magic golden light that when inhaled, transports one to an alternate universe of eternal happiness. Both of these are just beautiful, Bonnie, but the first one is over-the-top gorgeous! I so love the hint of pink with the other tones. Really, really beautiful. Wishing you a wonderful beginning to your week!